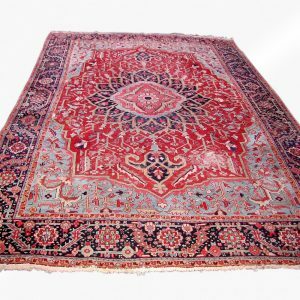 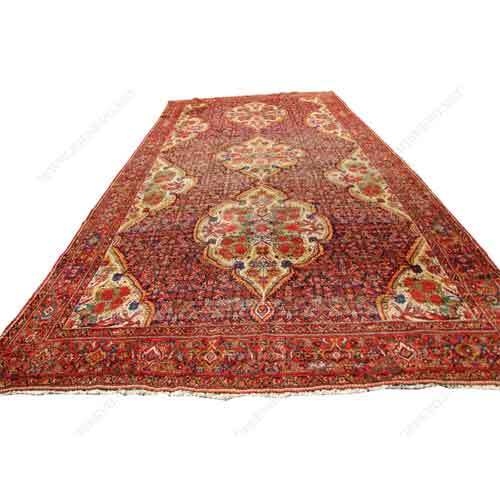 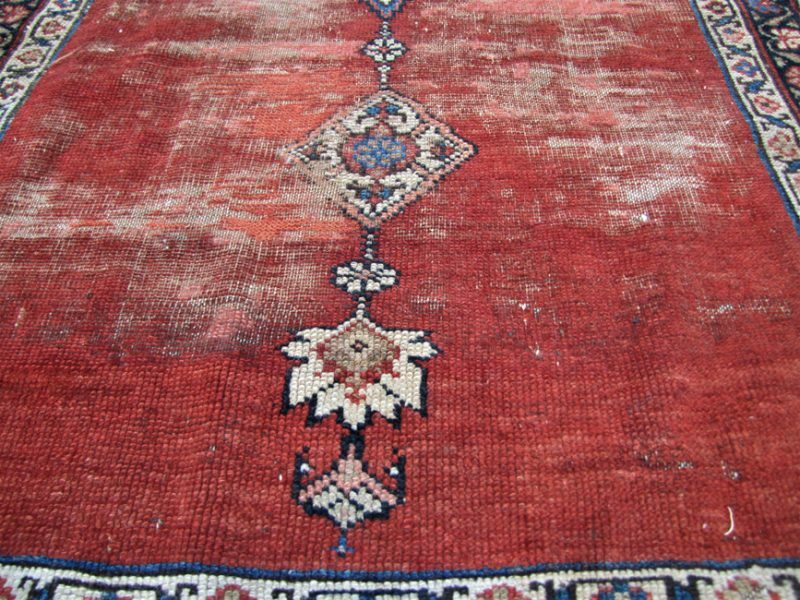 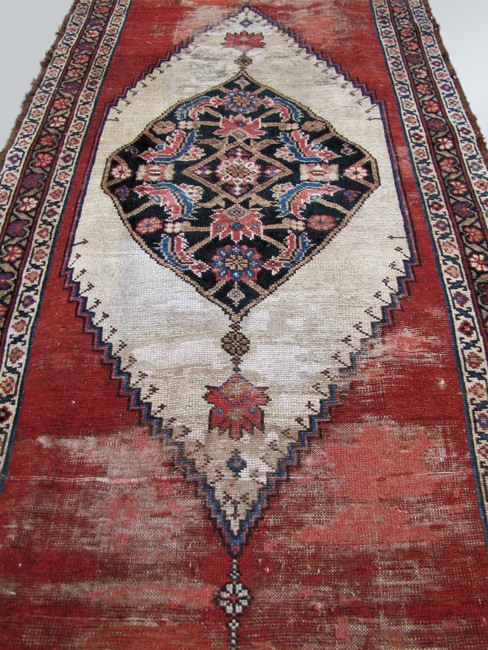 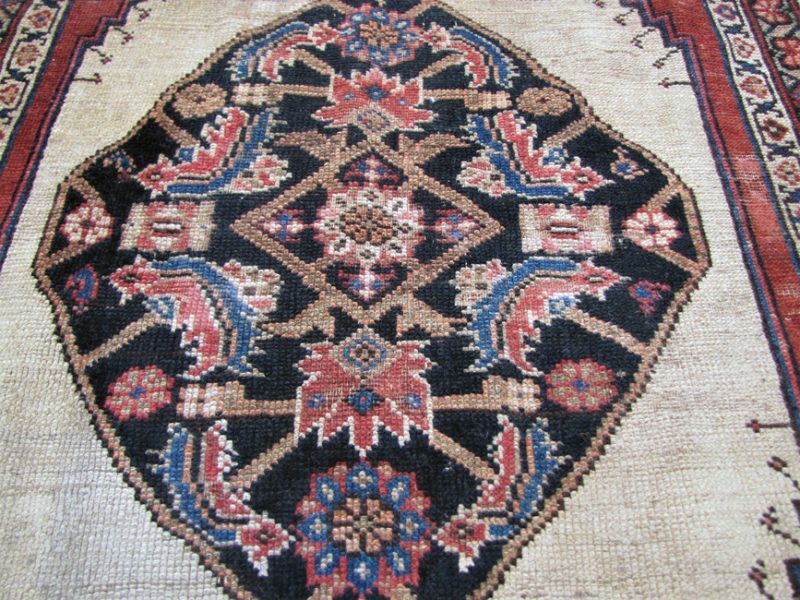 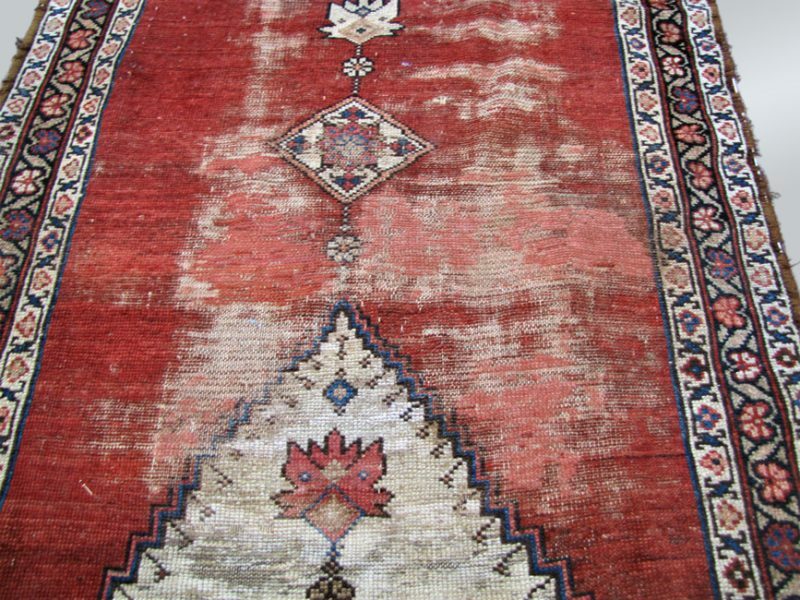 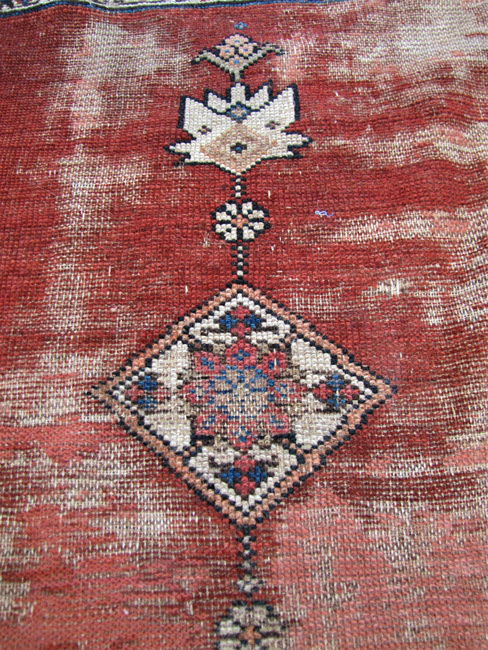 This is an Antique Persian Kurdish Runner Rug from the early 1900’s. 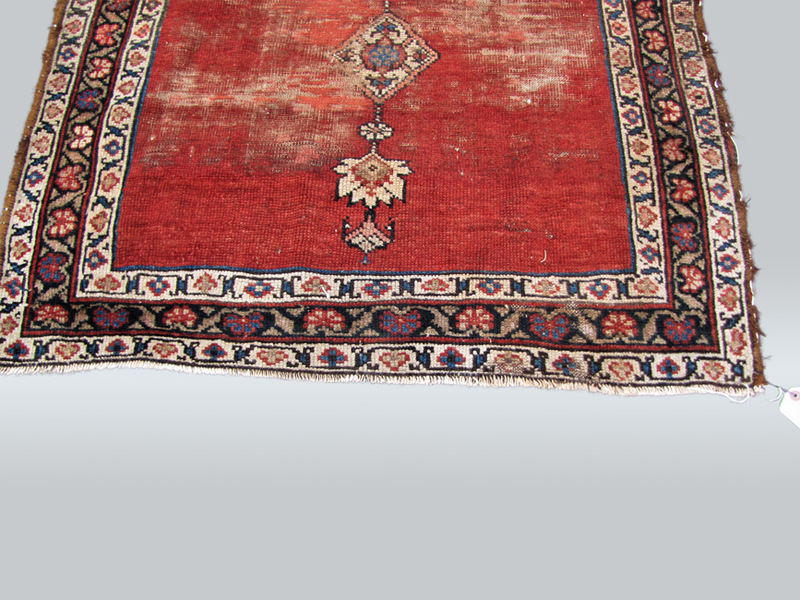 This is a great looking runner that is more or less complete. 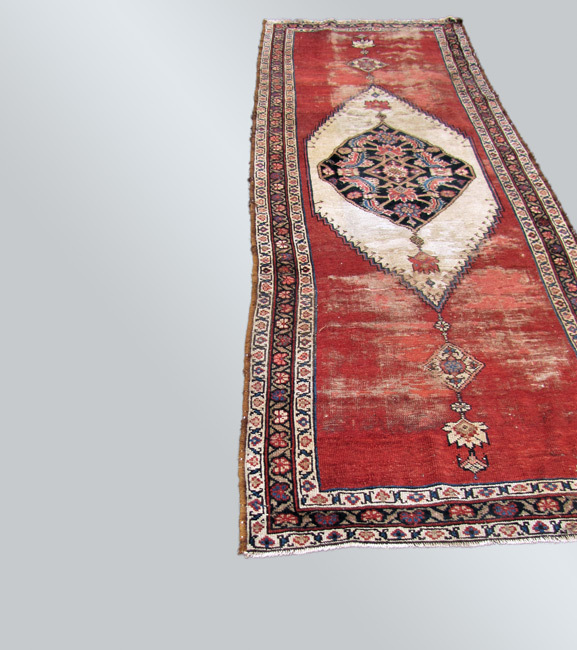 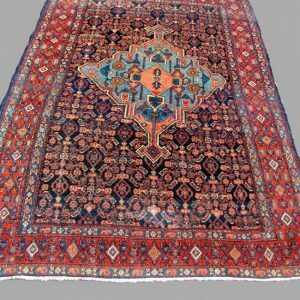 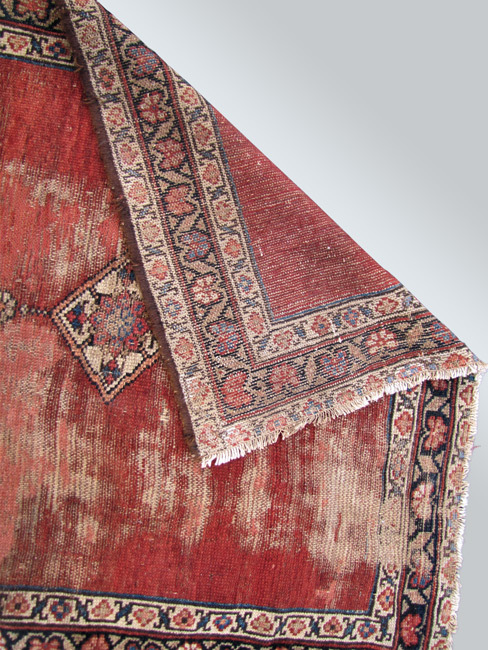 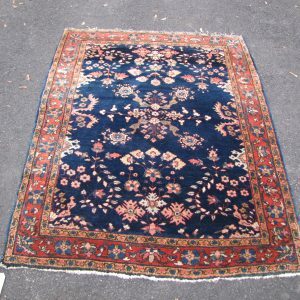 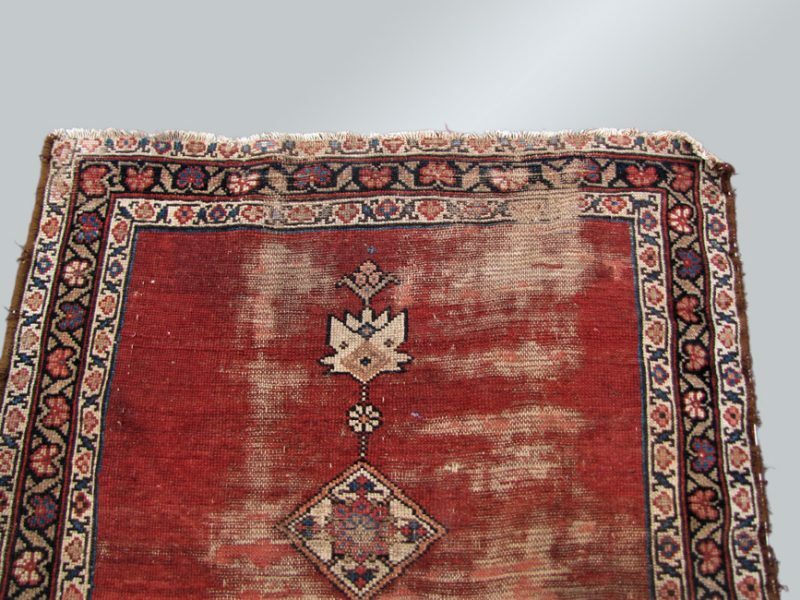 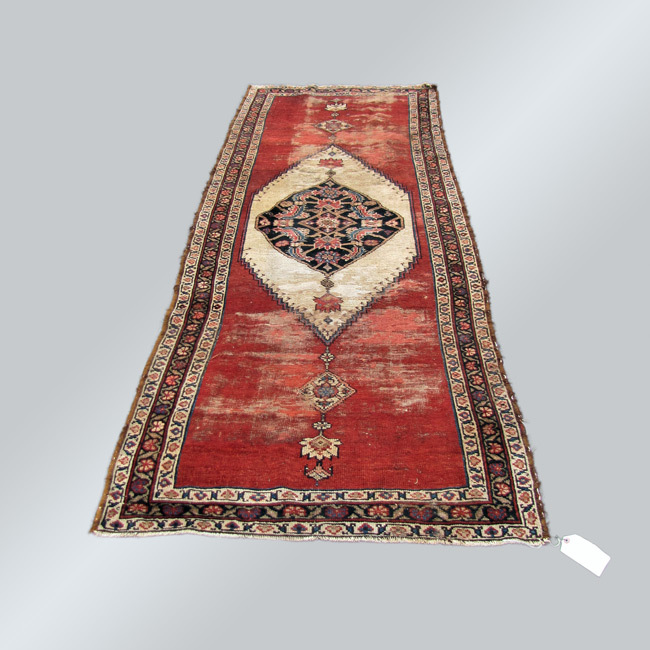 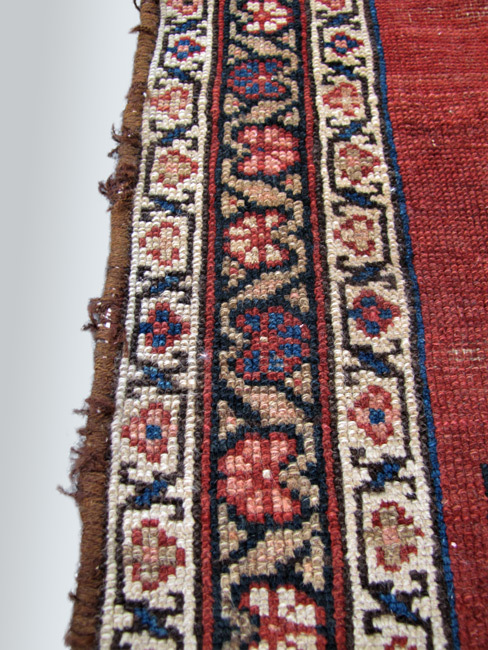 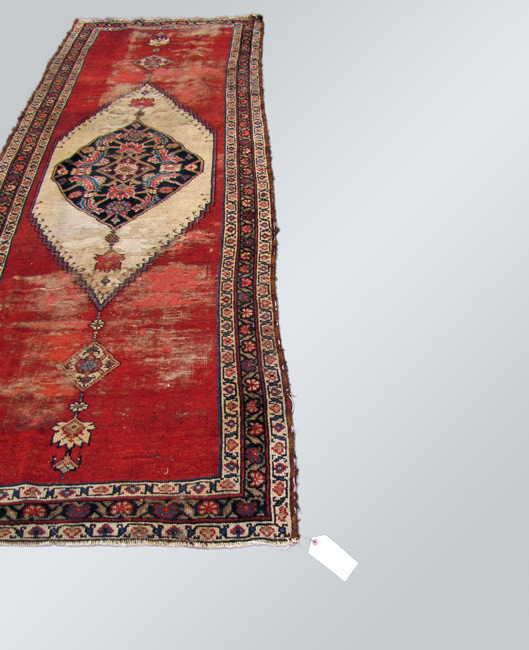 The background of the rug is rust with the other colors being ivory, black, brown, salmon, and blue.